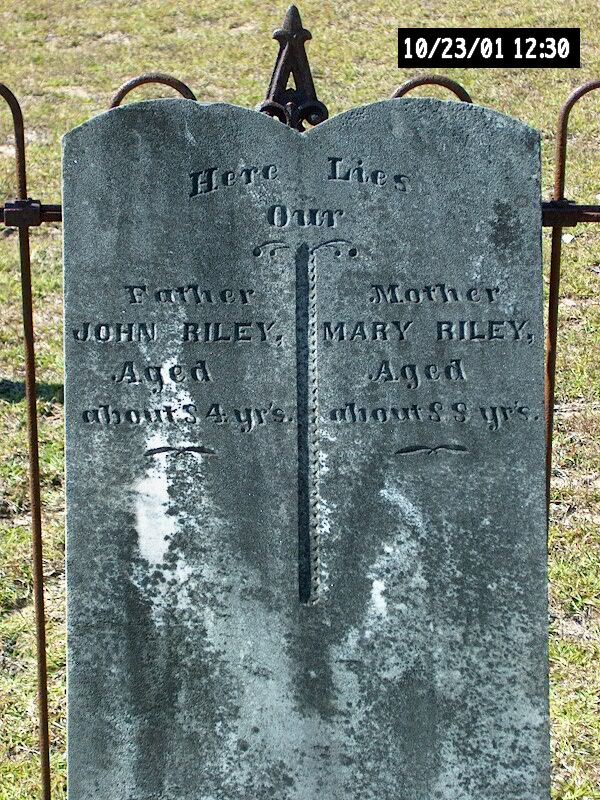 Descendants of John Riley, Jr. This section is intended to address any unanswered questions, family folklore or other puzzling issues that surround our family history. Please forward any submissions to the website administrator. Hope Taylor Lowry had previously submitted comments on this Mary, which can be viewed by clicking HERE. Jim Riley has thoroughly researched this Mary and the current best understanding of this Mary may be viewed by clicking HERE. Comments regarding the two theories may be passed along to the original researchers or the website administrator. Prior Submitted Mysteries may be viewed by clicking HERE.